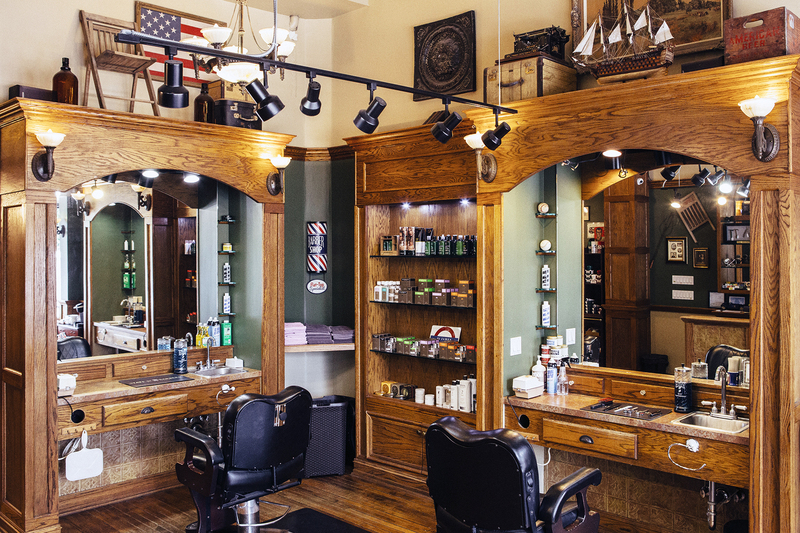 Finding the best barbershop in Lincoln Park can feel like an overwhelming task—with so many choices, it can be tough to feel like you’re making the right choice. When you come to State St. Barbers, though, you’ll experience a luxurious haircut and other grooming services that and leave you looking and feeling your best. At State St. Barbers, we offer a range of services that is designed to suit men of all ages. When you’re looking for top-quality grooming, you’ll be in great hands with us. Grey-Blending Services: While greying hair is trendy right now, if it’s not for you, we totally understand. That’s why we offer grey-blending services, to color away the grey in a natural, subtle way. Beard Shaping: Your beard is what people notice first, so make sure it looks great. Our beard shaping services keep you looking sharp. Hot Lather Shave: With dollops of warmed shaving cream, hot towels, and a pinch of cooling aftershave, this service will have your face feeling like a million bucks. Gentleman in Training Haircut: Our offering for young men ages 12 and under, our Gentleman in Training haircuts are perfect for keeping your young man looking great. Gentleman in Waiting Haircut: On a budget but still want to look your best? The Gentleman in Waiting haircut is for you. This discounted haircut service is offered to students. Signature Haircut: Our signature haircuts will have you looking like the best version of yourself in no time. With a mini shoulder and neck massage, hot face towel, and a straight razor neck shave, this haircut makes sure you’ll be ready for anything. When you visit a Lincoln Park barbershop, you should expect to not only receive luxurious services but also that only top-quality salon products used. At State St. Barbers’ Lincoln Park location, we offer Layrite Original Pomade, Men’s Dept. hair products, Beard Balm, Man Soap from Duke Cannon, and Proraso Shave Products. Our Lincoln Park barbershop is located conveniently at the corner of Racine and Webster, at 1151 W. Webster Ave. We recommend calling ahead for an appointment so that we can serve you best, but we do accept walk-ins. To book your appointment with one of State Street Barbers’ professional barbers, click the link above or call today at 312-624-8399.For the best barbershop in the 60614 area, stop into State St. Barbers.